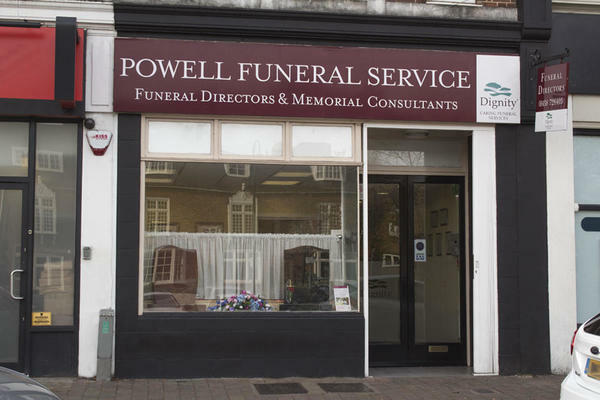 We are Powell Funeral Directors in Stevenage. It is our duty and privilege to support our Hertfordshire community, giving families our uncompromising care and compassion every step of the way. Our funeral home at 52 High Street being opened in 2010. We understand that life with the ones you love is deeply personal, so your loved one's funeral should be no different. Our devoted team will honour your wishes, tailoring any details to be just as you want. Call us today on 01438 728403 to talk through your personal requirements. At Powell Funeral Directors, we understand how special life is with those that you love. For us, every funeral is unique and personal. We have a service to fulfil every wish, with every detail carried out with the same uncompromising quality of care. From a traditional service, to a colourful woodland burial, your options are limitless with our Full Service Funeral. If you have a little more flexibility when it comes to arrangements, then we can provide a Simple Funeral for a lower cost. There is car parking available for a limited time on surrounding streets. You can find our funeral home opposite the Cromwell Hotel. Our staff are available 24 hours a day on 01438 728403 if you require our services outside of these hours. Both members of staff were welcoming all through the process while arranging my brothers funeral. Stevenage) Not stuffy at all but knew how to comfort and laugh with us. Got a call the night before the funeral from Simon who talked me through how the next day would proceed, could not be more professional. We would all like to thank everyone for the way the staff treated in the sad time we were going through. Excellent service .Everything went according to plan with some nice touches ,that we weren't expecting .